All types of hardwood floors have unmatched natural beauty and go with any decor — modern, traditional, country, you name it. Hardwood flooring goes in any room, although basements warrant special considerations. 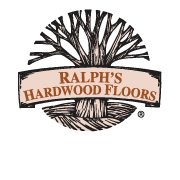 Browse our products and find the perfect floor for your family and lifestyle. Site finished hardwood floors offer unlimited possibilities. We can match any decor style and even seamlessly add to existing hardwood floors. Our design consultants will work one-on-one with you to pick the species, appearance, and finishes to create the floor of your dreams. Today's prefinished floors offer beautiful colors, unique textures, and quality finishes. Easy to buy and quick to install, a floor in a factory maybe the best option for you. Not all prefinished floors are created equal though, and our professionals will make sure you get the right prefinished solution for your needs. Did you have a picture of a floor that you would love to recreate? Maybe, you want something that no one else has ever done. Let us help you create that floor. Teaming with our design professionals and our expert artisans, we will create a floor that is one-of-a-kind. Wood is not always the right choice for every lifestyle or environment. Luxury vinyl flooring has become so realistic looking that it can fool even us! Made out of a synthetic durable material, it lasts a lifetime taking away the worry of durability and stability. No floor is complete without matching treads, risers, trim or vents. Nor would it be complete without personalized medallions and borders. Your floor will look beautiful for years with proper floor maintenance. Cleaning and maintenance products are available directly from Ralph’s. The Ralph's Idea Book is full of real-life projects. This gorgeously photographed hardwood floor design book will certainly spark interest in giving your own space a little revamp.